With the new President of the United States to be elected in less than 10 days, I’ve been following along to see what each candidate says about nuclear weapons. My love for Netflixs’ House of Cards combined with little in-depth knowledge about real American politics means that I personally find the whole American political processes nothing short of bizarre. If it wasn’t such a terrifying prospect that Trump may actually become President, I probably would have found it more comical than troublesome. My love for Obama’s personality, combined with not being too overzealous about Clinton means that I have had a similar position to 4 year old Christopher from Las Vegas (I highly recommend watching this video if you want to see possibly the CUTEST and most hilarious opinion on US politics going). However, after Trumps confusing and nonsensical comments on nuclear weapons, it has made many seriously doubt his competency to be in charge of such a force. Obama hasn’t exactly been fantastic with regards to his non-proliferation and disarmament of nuclear weapons. 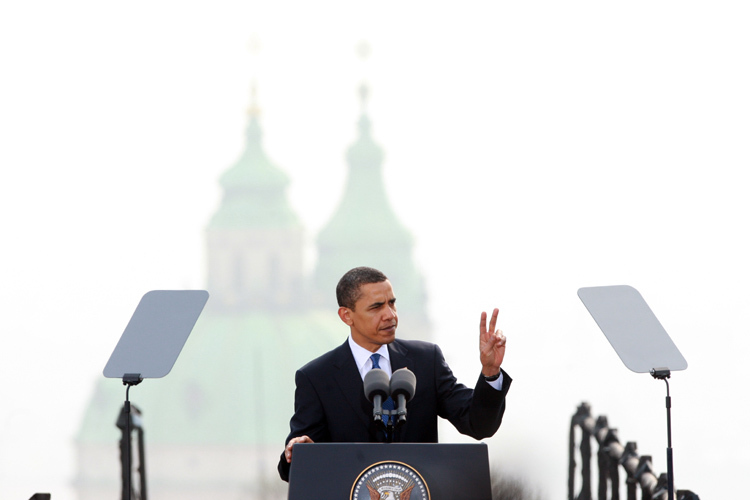 He gave a fantastic speech back in 2009, in which he broke the nuclear taboo and publicly announced that he wanted to seek a world where there are no nuclear bombs. This, he called “global zero”. This gave hope to many grass-roots activists of a real, progressive change. So despite an encouraging and inspirational start to his eight years in office, which gave hope to many grass-roots campaigns like CND and other international groups, Obama has actually done seemingly extremely little for nuclear non-proliferation and disarmament. A new President could seriously shake up the current way America looks at its nuclear weapons. 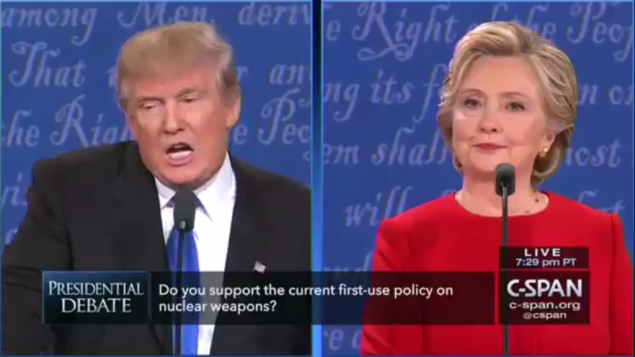 As a result, the nuclear weapon debate has come up several times across several months in the presidential debates, and rightly so. Whoever becomes the next leader of the free world will have an immense amount of power and control over one of the world’s biggest nuclear stockpiles. Several heated discussions between Clinton and Trump have occurred over nuclear weapons, and it would be tedious to outline them all here. However, I’ve found it very interesting the strategic move by Clinton yesterday (31st October 2016) by releasing a new TV advert, which illustrates a very powerful message Trump’s stance. It briefly highlights the historical relationship between America, its nuclear weapons and the culture of fear that many young Americans were raised in; nuclear annihilation is never too far away. 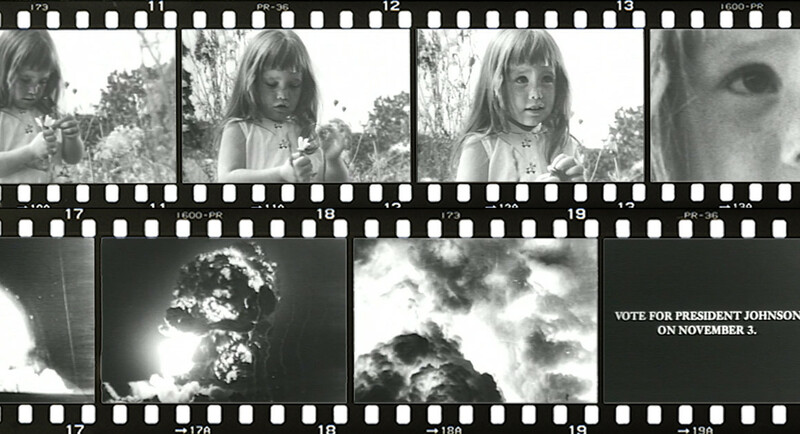 Clinton drafted in Monique Luiz, who as a child starred in a famous political attack advert about nuclear weapons during the 1964 presidential race between Johnson and Goldwater. The original advert depicts a young girl, who is standing in a field plucking the petals off of a flower and counting down. When the girl reaches 10, the camera zooms into her eye until you see the notorious mushroom cloud explosion that is synonymous with nuclear obliteration. In the 2016 “Daisy” advert, Luiz encourages citizens to vote for Clinton on the basis that Trump’s temperament and rhetoric surrounding nuclear weapons is deeply disconcerting. Fundamentally the aim of this advert is illustrate the horrors that could potentially ensue if nuclear weapons are within reach of such an unpredictable character like Mr. Trump. To me however, it highlighted something a little more than that. Not only is it a terrifying prospect if Trump would have unequivocal access to nuclear weapons, but the remake of this advert speaks volumes about how little we have progressed in respects to global non-proliferation and multilateral disarmament. For an advert to hold as much significance in 1964 as it does in 2016 is quite frankly demoralising and distressing. Think of what the world was like in 1964, and how far we’ve come since then on a varying array of areas. Nelson Mandela began his prison sentence in South Africa. Robert McNamara gave US military increased resources to fight in Vietnam. The Civil Rights Movement was still ongoing. Khrushchev was still leader of the Soviet Union. 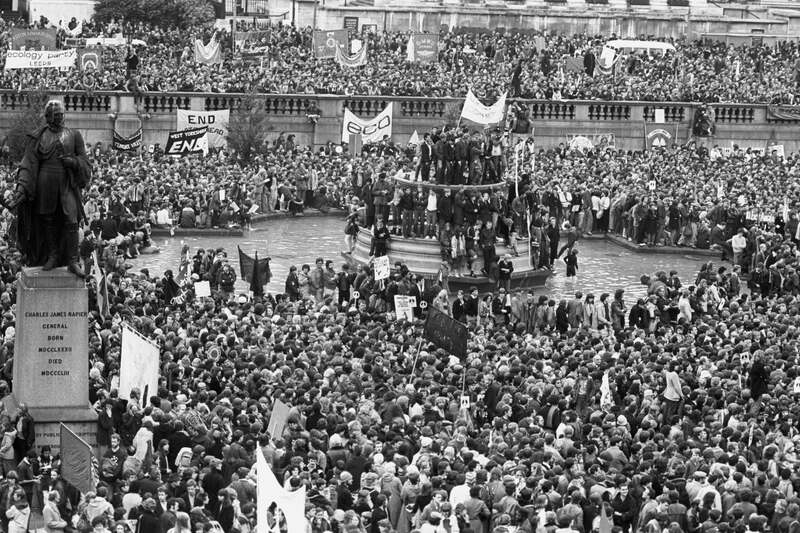 Harold Wilson became the first Labour party Prime Minister for over 13 years. Che Guevara addressed the U.N.
All of these events are historical moments in time that are now subject to history textbooks. Everything has come such a long way from this date; Nelson Mandela was President of South Africa, Vietnam won the war and the Soviet Union no longer exists. Yet we still have the exact same fears about nuclear weapons as we did then. It’s incomprehensible, that in a modern and globalised world that has seen so many fantastic progressions across the board, that we still have the same, basic security fears that we had over 50 years ago. Nothing has significantly changed, with specific regards to nuclear weapons, over that period of time enough for this fear to be removed from our collective societal worries. If nothing else – the security worries surrounding nuclear issues has increased! Thanks to advances in technology, which translate into impressive hacking powers by several different bodies and organisations, even civilian nuclear projects are no longer safe from a terrorist threat. There is an increasing sense of instability due to North Korea’s recent nuclear tests and Russia’s supposed preparation for a nuclear war, among several other factors which have a knock on effect to the nuclear dialogue throughout the world. A seemingly cavalier approach to nuclear weapons and their use by Mr. Trump is not helping to stabilise the situation. The lack of progress on disarmament and non-proliferation is disheartening. In over 50 years, we are still discussing the same worries to our global security due to nuclear weapons. Clinton’s PR team have done a fantastic job focusing on Trump’s unreliability of being in possession of America’s nuclear button. But in my eyes, they’ve done an even better job at emphasising the sad reality that global security still mirrors the same nuclear concerns from over 50 years ago and that the nuclear capable states need to be leading the way forward towards multilateral disarmament.